Who Is Giving Chandrababu Sleepless Nights? 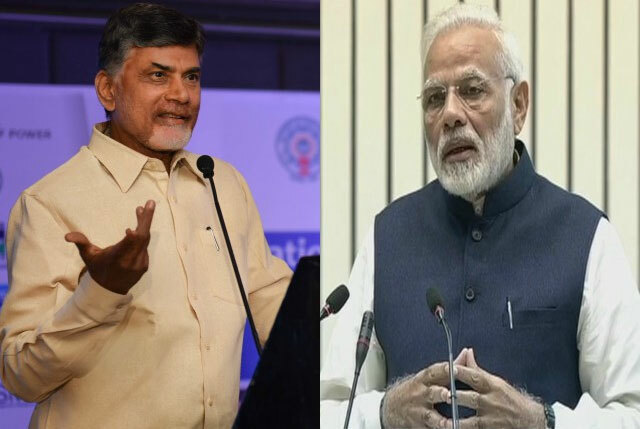 Prime Minister Narendra Modi opined AP CM Chandrababu Naidu continued to cope with sleepless nights as Central Government kept seeking Utilization Certificate for every rupee spent. 'Chowkidar (Watchman) is making Chandrababu Naidu spend sleepless nights. NDA Government insists that there should be paper work for every rupee spent for the development of Andhra Pradesh with Central Funds. This Chief Minister ignored the development of Andhra Pradesh completely,' he alleged. NaMo accused Chandrababu Naidu of using abusive words against him and that's an insult to the great culture of Andhra. He went on to say, 'Naidu promised Worldclass infrastructure for AP but took an u-turn and focussed on self development. He converted the Sun-Rise State into Son-Rise State by promoting his Son. He is senior-most in shattering the dreams of the people who trusted him'. As expected, PM Modi launched a scathing attack on Chandrababu Naidu during his first visit to Andhra Pradesh after TDP walked out of NDA. Even TDP Supremo attacked Modi for denial of Special Category Status and backtracking on other bifurcation promises. TDP and BJP kept accusing each other for the dire situation of AP. As a matter of fact, None of these party gain anything by doing so.